Playday is the Pioneer Booster Club’s largest fundraiser that supports ALL sports at SJHS and SHS. Our Annual Golf Tournament, Fun Run, Amazing Online Silent Auction, Doubles Tennis Tournament, Bubble Soccer will be joined by a Sand Volleyball Tournament this year. It will be a great day for Pioneer Fans of ALL ages! Scroll down to find the activity you're interested in, and click to get registered! Come check out the outstanding online silent auction items we have available for you to bid on. Just click on the "Register" button below, and you'll see the auction bidding site. The bidding ends on Friday 6/22 at 6:00, so don't wait too long! 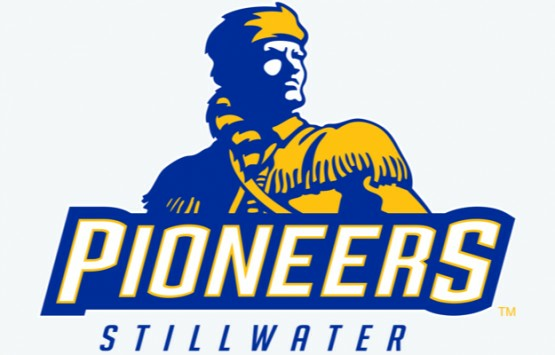 Come play or sponsor the 2018 Pioneer Playday Golf Scramble at Stillwater Country Club! Enter as an Individual or team and select a morning or afternoon (shotgun start 8:00 or 1:00). Entry fee includes lunch, served from 11:30 - 1:30 in the clubhouse. Join the 2018 Pioneer Playday Fun Run! The 1.5 mile course winds through the front 9 holes of Stillwater Country Club. Race time is 6:45 on Friday, June 22. Enjoy breakfast afterwards. Your entry fee also includes a Pioneer Playday t-shirt! SORRY - REGISTRATION IS CLOSED FOR BUBBLE SOCCER. Come by and enjoy as a spectator: It starts at 3:00 on Friday 6/22 at Pioneer Field House. SORRY - REGISTRATION IS CLOSED FOR TENNIS. Come by and enjoy as a spectator: It starts at 8:00 on Friday 6/22 at Couch Park. SORRY - REGISTRATION IS CLOSED FOR VOLLEYBALL. Come by and enjoy as a spectator: It starts at 9:00 on Friday 6/22 at Stillwater Country Club.